On 8 February 1950 the GDR Volkskammer (People's Chamber) unanimously passed the "Bill to establish a Ministry for State Security". It was preceded by a corresponding secret resolution of the SED Politbüro at the end of January. Deputy Prime-Minister Walter Ulbricht appointed Wilhelm Zaisser as minister and Erich Mielke as permanent secretary on 16 February 1950. Zaisser was at the same time co-opted both onto the party executive committee and the Politbüro. Supervision by parliament or a ministerial committee was not envisaged. Deputy Prime-Minister Otto Nuschke stated in 1953, that the Ministry acted as an "authority with its own responsibility". In reality, MGB (Ministry for State Security, Soviet Russia) officers held the reins of the GDR State Security Service. Every head of a service unit had his own Soviet "instructor". In important cases the Soviet organs took over investigations themselves. At the same time the MfS carried out the will of the SED party leadership. Zaisser himself was responsible in the Politbüro for state security. There was only a loose association between the Central Committee apparatus and the party organization within the ministry. The primary task of the MfS was intended to be that of locating and arresting all opponents of the GDR's transformation to the people’s democracy on the Soviet model. This was to be carried out in all areas of society. In the economy and agriculture, in the political system with its state institutions, and in religious groups. Moreover, during the Stalinist purges in the early fifties the MfS carried out investigations against purported "elements hostile to the party", as well as alleged Trotskyites and Titoists. The main methods of the State Security Service during the phase of "terrorist-administrative attainment and securing of power" consisted of arbitrary arrests and extorting confessions using unceasing nightly interrogations and other torture methods. These aimed to prove the alleged espionage activities of the person under arrest for western intelligence services and underground organizations. Nor did the Stalinist mind adopted during industrialization accept production stoppages as result of worn-out or overloaded machines, but rather wanted to expose them as hostile acts of sabotage. In the course of the GDR local government reform in 1952, the MfS dissolved its five provincial Länder administrations and set up 14 regional administrations in their place. Staff and infrastructure were not yet sufficient to set up local offices in 217 new urban and rural districts and East Berlin, but by March 1953 192 local offices existed. The Staatssicherheit had begun in February with about 1,100 staff, primarily employed in the Länder administrations of state security. With the "intensification of the class struggle" the full-time apparatus was nearly doubled in 1952 from about 4,500 (end of 1951) to about 8,800 employees. The MfS leadership consisted almost entirely of long-standing Communists, among them experienced underground fighters such as Minister Zaisser. But after the volatile developments in 1952, the MfS had taken on mainly young SED, Free German Youth and People’s Police cadres. They had no personal experience of the Communist labour movement before 1945. They came mainly from underprivileged, proletarian backgrounds and had only an elementary general education, with equally limited police and secret service knowledge. 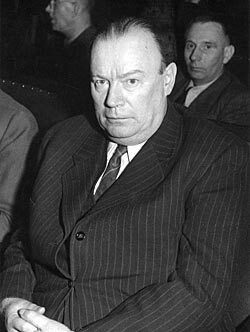 By 1953 about 92 per cent of operatives were SED members, the others were regarded by Zaisser as "Party members without a membership card". The BStU offers some flyers and brochures in English. All the other publications (in German) can be ordered or downloaded.